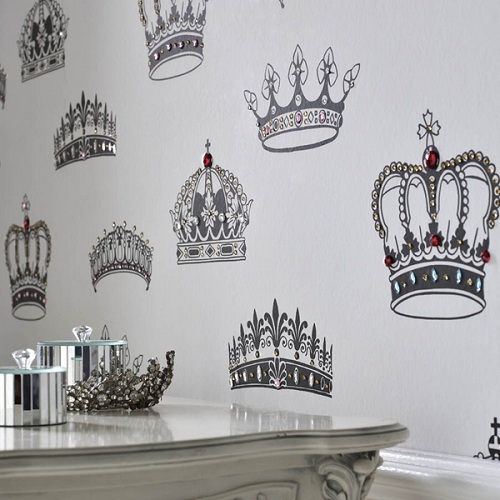 Always fans of beautiful wallpaper decoration, we couldn’t be but highly impressed by the Crowns and Coronets Wallpaper collection created by the UK-based design company Graham & Brown. 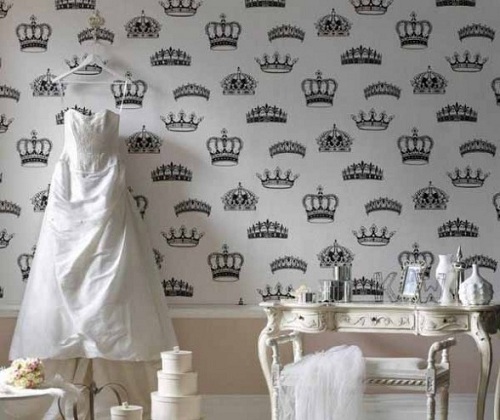 Its creation is dedicated, specifically designed, and exclusively launched in order to celebrate the royal wedding of Prince William & Catherine Middleton over a year ago. 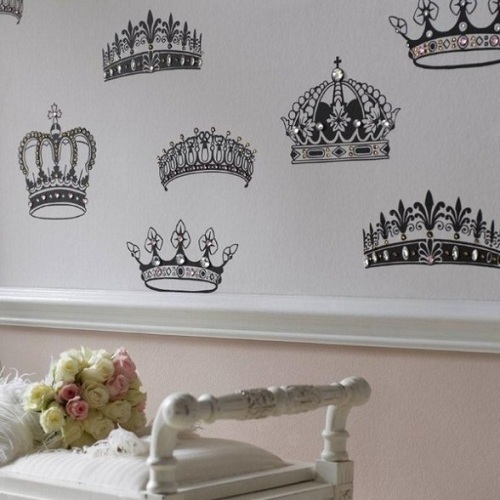 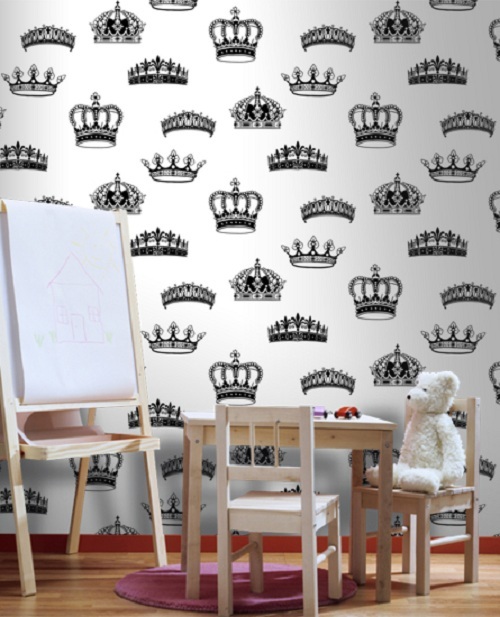 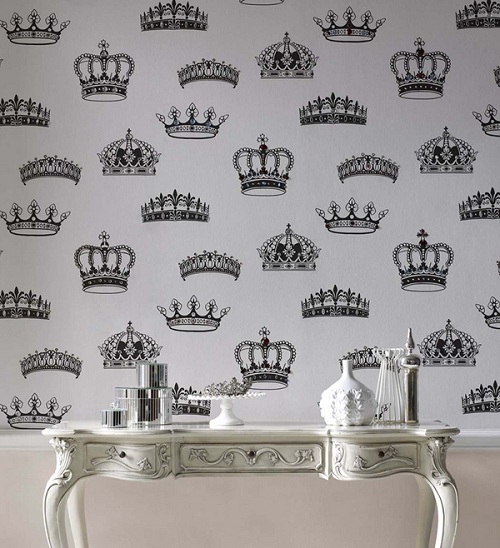 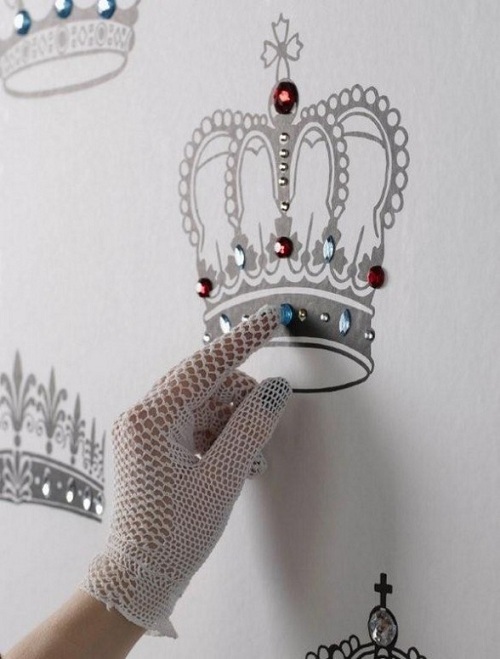 Exquisite black crowns and coronets on a fresh white background would amazingly grace your walls, enchanting everyone with a very stylish look. In addition you can add some dazzling jewels of different size on the wallpaper for a finishing touch. 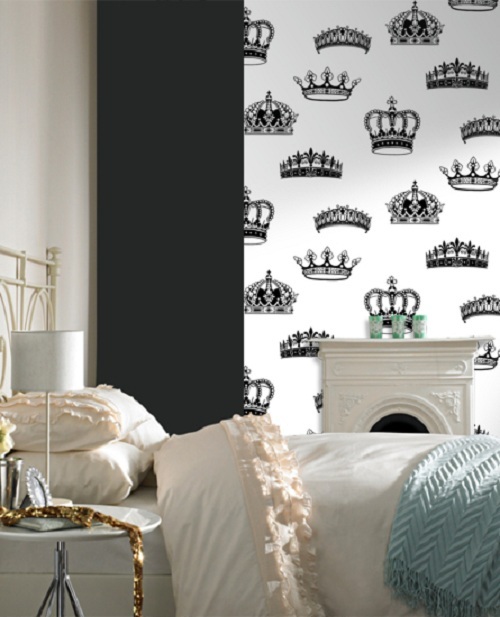 Let you room shine in royal grandeur!